Shamanism is the most ancient spiritual practice known to humankind, dating back as much as 100,000 years. The word “shaman” comes from the Tungus tribe in Siberia and it means spiritual healer or “One who sees in the dark”. Shamanism has been practiced in Siberia, Asia, Europe, Africa, Australia, Greenland, and native North and South America. While there are cultural differences, once those cultural aspects are removed, it has been discovered that the practices are quite similar. Shamanism is indeed, Global. A shaman is a man or woman who uses the ability to see “with the strong eye” or “with the heart” and “travels” into hidden realms. 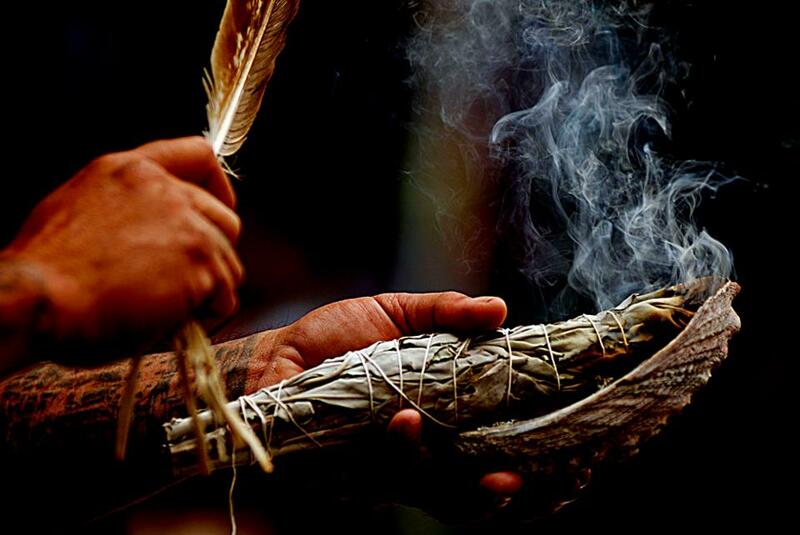 In these travels, the shaman interacts directly with helping spirits or Guides, addressing the spiritual aspect of illness and finding answers to questions in a spiritually centered manner. The shaman also divines information for the community or client/patient. Through a shaman’s dedication to a life path of creating balance, harmony, impeccability and wholeness, shamans have always acted as healers, doctors, priests and priestesses, mystics, psychotherapists, and storytellers. Shamanism teaches us that everything that exists is alive and has a spirit. Shamans speak of and are actively aware of cycles and of a “Web of Life”—a connection that exists in all things in life and of the spirit that lives in all things (both animate and inanimate). Everything on earth is interconnected—any belief that we are separate from other life forms such as the Earth, the Stars, wind…is purely an illusion. It is the shaman’s role in the community to keep harmony and balance between humankind and the forces of nature. Welcoming children into the world…. Help people transition to a good place at the time of death…. Mourning the death of loved ones…. Creating ceremonies to mark transitions in a person’s life…. Shamans are noted for a particular ritual: The Shamanic Journey. By going into an altered state of consciousness, the shaman journeys into non-ordinary reality, with Intention as his compass and they travel outside of time and space. It is here, in what is called non-ordinary reality, that the shaman works closely with their helping spirits. Through these powerful and cultivated relationships, we are aided by these compassionate Spirits, for it is the Spirits who offer their guidance and their healing help in behalf of all life on earth. The helping spirits are also consulted with when specific information regarding the subject at hand is needed. Entering into the soul freeing, altered state of consciousness to journey into the invisible worlds, shamans typically use some form of percussion, especially drumming or rattling. The page My Drum talks of this. With the Universal shift that is taking place, Shamanism is vitally important work for our time. The Great Mother calls; it is time to come back home again…it is time to take our rightful place on the earth. It is our birthright to fully express our souls and create the World we want to live in. And it is our birthright to shine as brightly as the stars above us. It is time to share our light again in the world! I’ll send you information directly. In addition, we also offer private instruction and will have online courses available soon. Stay tuned!